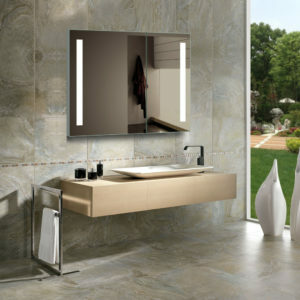 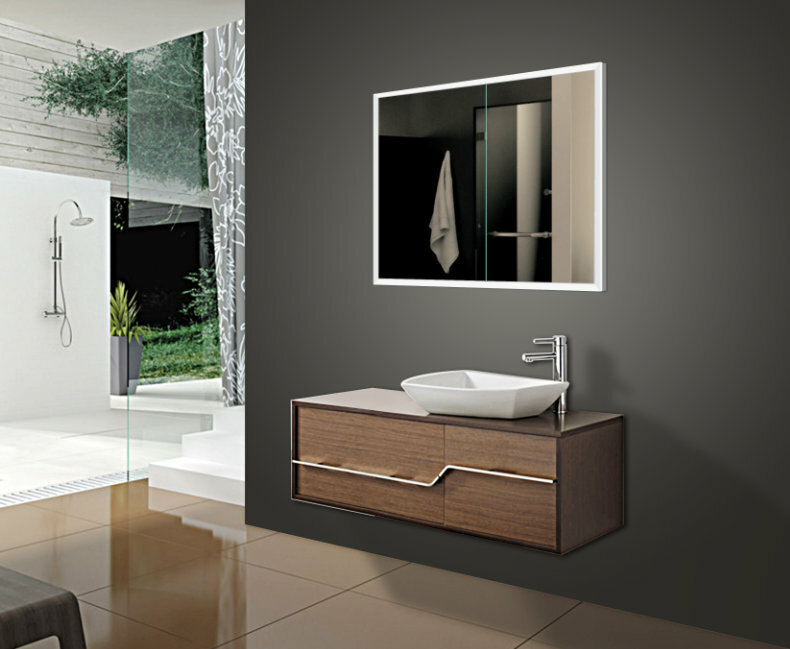 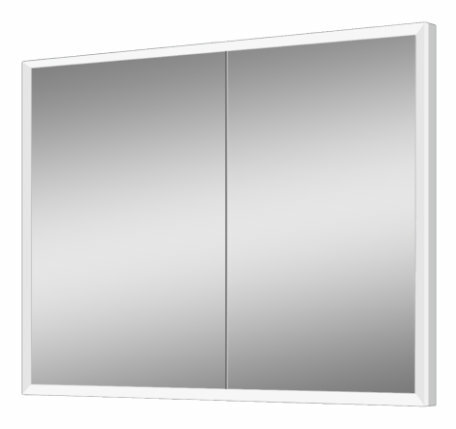 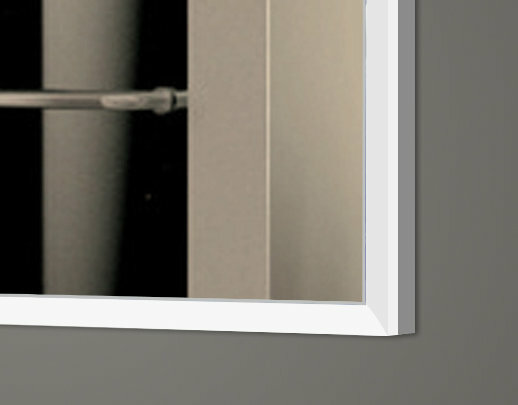 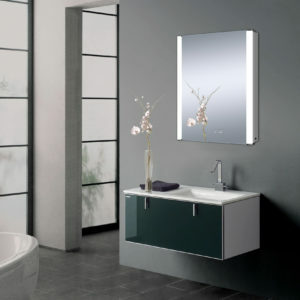 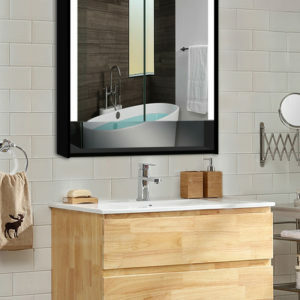 The Titan mirror cabinet with LED light on all four sides adds a different look to a line of recessed mirror cabinets. 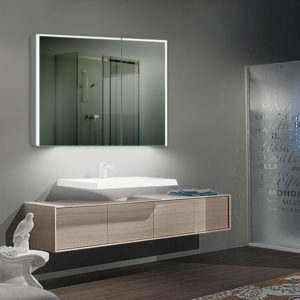 The clean look along with a two light color option of warm and cold LED light that uses a rocker switch rounds out the look. 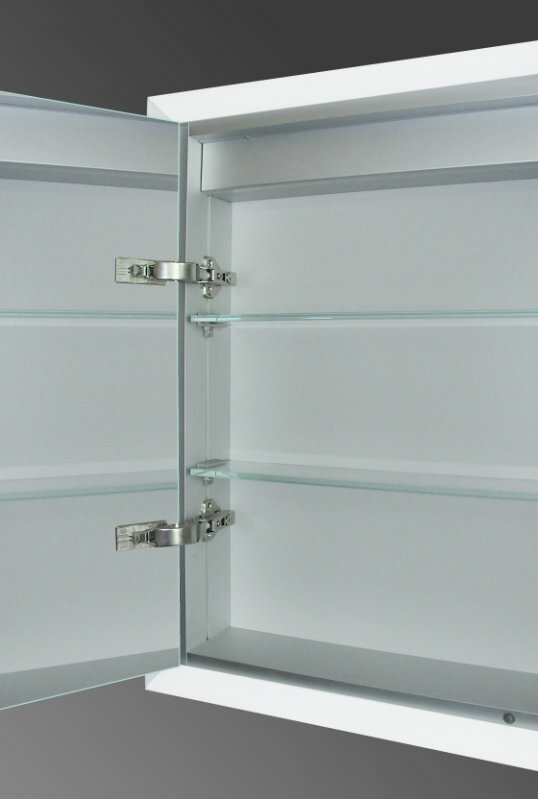 The Titan has two glass shelves along with an electrical outlet on the inside that rounds out the accessories.